We end up in a never-ending mind-battle, distressing about how to properly allocate the available budget and how to arrange cost-related activities every time we plan to have an economical Trip to Europe or elsewhere. Plane Tickets are probably the number one concern every time we dream of having a journey somewhere abroad, as of suggesting the greatest cost of all; the same time the most important aspect of the journey. Are you sick and tired of giving up your dream because of this unaffordable aspect of Trips? Well, the time when finding a Cheap Airline Ticket to Europe was a synonym for a low-quality travel it is almost an allegory anymore. Good news in this regard is that all you need now is exploring and spotting the random hidden Cheap Flight Deals that guarantee you an affordable and pleasurable Trip to Europe. To be honest, we are not acting as if for this process to be an effortless one. What is more, is a practice that requires from you to be willing to dedicate time and effort to do the needed research, to possess the looked-for patience, as well as the needed flexibility to adapt your planned travel with new dates when tickets get cheaper, sometimes this process even involves your readiness to change the intended traveling destination. All these for the fact that European Airlines, despite their standard pricey Plane Tickets, they regularly have also knockout or best low-price deals, starting from erroneously issuing cheap prices, deals with client, to lowered prices to respond towards cheapened prices of the rival airline companies. We are saying that the myth about getting a low-price or cheap ticket means low-quality travel is gone anymore, and all you need to get a cheap and affordable Plane Ticket for your dreamt European destination is only your readiness to properly dedicate yourself on researching and spotting these cheap deals of the airlines in the real time, early enough. And guess what? Below, we will show you some key tips that will most likely save you time, frustration and most importantly money when booking your next flight to Europe. What most people probably do not know about buying online is that nowadays companies can track your online searching activity, in attempt to understand customer’s needs. What else you might not know is that this also affects the price of the product you are trying to buy online, based on frequency of your online search. Same it goes for Flying Tickets. The moment Airline Company discovers you are regularly searching for Flight Ticket of a specific destination, based on the cookies in your browser; it reaches to increase you the price of the ticket on your computer, alarming you to make an early booking of the flight ticket – as a part of their marketing strategy. Annoying isn’t it? But guess what? You can make your search secret or hidden, blocking the opportunity for the company to track you and consequently to increase prices anymore, allowing you to see the lowest flight tickets prices. You might do this by going incognito (secret), or private, every time hunting online for your flight ticket. There are several search engines that enable people to search available flight tickets around the globe, but only few can be considered a good choice, especially when seeking for low-priced flights. This for the fact that some of these existing engines or websites, tend to present increased flight ticket prices as they want to take their part from airline companies, tickets of which they sell. The website started its activity by offering flights within Europe but it enhanced its offer by later providing flights for different destinations around the globe. In addition, a user-friendly engine which frequently publishes cheap Flight Deals. Go to JetRadar! Another large and popular search engine of Cheap Flight Deals equally offering low-cost vacation packages, cheap hotels and car rentals. This user-friendly engine additionally provides very useful travel tips consisting of information about weekend gateways, beaches, nature, romantic places, food and drink, activities and other things to do during a trip abroad. Check US version or UK version! Another website where you can find best Flight Deals, also checking for you alternate dates and nearby airports, something that reduces you stress and expenses. Another big plus about this website is that includes all taxes and other fees within the presented flight ticket price, so the price published is the price you will actually pay and nothing more. Go to TripAdvisor! This website is also committed to offering inclusive flight ticket prices for different destinations around the globe, as well as low price hotels, rooms, and car rental. Go to Vayama! Alternative website to search for your cheap airline tickets to Europe as well as worldwide destinations is Kayak, also providing hotels, rental cars as well as travel deals. Go to Kayak! This is another popular website for searching across airlines, travel sites and low cost carriers, best flight tickets and directing you directly and freely to the airline companies. Go to Momondo! Nobody can predict or assume which is the cheapest day or date to fly in the chosen destination. What one can do and make sure of it is checking prices of the tickets for a whole month or for longer period in one of the aforementioned OTAs, in order to be able to Compare Flights prices in different dates, and see which the cheapest day for your travel is. Another way to reduce your flight expenses is by discovering which the cheapest country to fly into before arriving in your intended destination, using information that OTAs offer and Compare Flights. Therefore, instead of traveling directly to the destination with one ticket, you can book a single-ticket for the cheapest country in Europe, and when there you can get a Budget Carriers or Cheap Flights from there to your destination, also in Europe. Alternatively, you might also use different cheaper transportation to travel to your destination within Europe, instead of the second airplane. This for the fact that traveling within the Europe is easier and cheaper and there is a well-developed traveling network within the continent. Because during holidays and summertime prices tend to experience the biggest increase of the year, then traveling to Europe in these periods, i.e. Mid June-August can be very expensive, as the demand for flight tickets is much higher because many people go on summer vacation. In few words, you have to be aware which are the periods of the year in which you can book your flight traveling ticket, as this will have an evident influence on the price of your flight ticket and the whole trip. Therefore, in order to save your money, in case you have already planned traveling to Europe during holidays or summertime peak, changing the date of your travel in the period when the prices of flight tickets lower, i.e. immediately after a major holiday, mid-November to Easter, or mid-September – late November & Easter – mid June. Also, if you planned traveling during weekend, be ready to reschedule your travel for a date in mid-week, as it deals you with best prices, since during weekends these fees tend to hike because most of the people travel in this period. 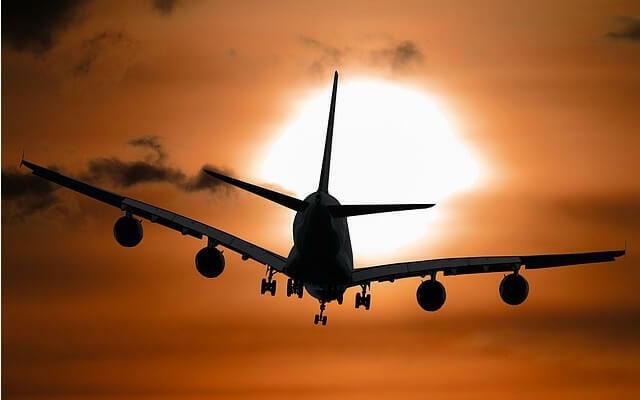 In addition, it is believed that early-morning and after-midnight flights are often cheaper because the unfavorable time of the day, so keep the hour of your travel in mind too when booking your ticket. Probably we are tired of those monotonous advertisements of airline companies telling us to book far in advance to get best prices of the Flying Tickets. Well, this is not always the truth, but sometimes, especially when traveling from outside Europe it is recommended booking the Flight Ticket one month in advance from the trip, as the price potentially can rise as the flying date approaches. It is considered that often the greatest savings from the trip come by buying the ticket early enough. Before booking your flight ticket using OTAs offers, make sure you have also consulted prices of the local airline companies also. We say that because at times local companies might have extra cheap flights available that you did not thought they would before, especially if they are small companies. Use internet to search for local companies and Compare Flight prices of the tickets with those offered by international ones. As you decide about the date and the company to book your flight ticket, because often companies suggest their clients to pay in their local currency, do not rush paying it before checking if it is cheaper to pay it in another currency. Because is a common thing for airline companies to post or publish flight ticket prices incorrectly because incorrect currency exchange, staff mistakes or technical problems, you must be watchful to catch this “fortunate” moments to purchase a much cheaper ticket than usual. You can find such error prices in Secret Flying or elsewhere. Do I Need to Buy a Travel Ticket Before I Apply for a Visa? Can I reserve a Flight Ticket without paying the full price?